Now in its 18th year, Art Santa Fe has a history of supporting the Santa Fe and New Mexico art communities. To further emphasize the importance of the Santa Fe art market, we are forming a Host Committee. Founding member Aleta Pippin will be joined by fellow New Mexico-based artists and galleries to plan gallery and museum tours to engage collectors, along with special art talks and installations, and more—all for the specific purpose of increasing traffic and driving sales. Want to learn more about Art Santa Fe and meet members of the Host Committee and the Redwood Media Group team? We’ll be in Santa Fe in early March and would love to meet you! Read about Aleta Pippin’s artistic venture—one that has grown from a faraway dream to a full-time passion—and then RSVP to join us in Santa Fe! Aleta Pippin has always been a visionary. In the mid-1980s, she started her own executive suite business and eventually made the list of the 50 largest women-owned businesses in Houston. She took her first painting class in 1992, and by 2000, her childhood dream of becoming an artist exploded back into her life. She improved her technique, found her own personal style of abstraction with vivid color and a contemporary feel, and started creating paintings full of energy, color, and freedom. In 2006, she opened Pippin Meikle Fine Art in 2006 with fellow artist Barbara Meikle. By 2011, Pippin felt it was time to open her own gallery with the vision of the style of art she’d like to present. 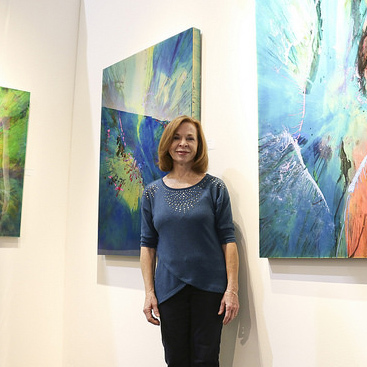 Armed with a vision of showing abstract art by outstanding painters and sculptors, she opened Pippin Contemporary in Santa Fe, a city as full of vibrant color as the ones expressed in Pippin’s contemporary art. 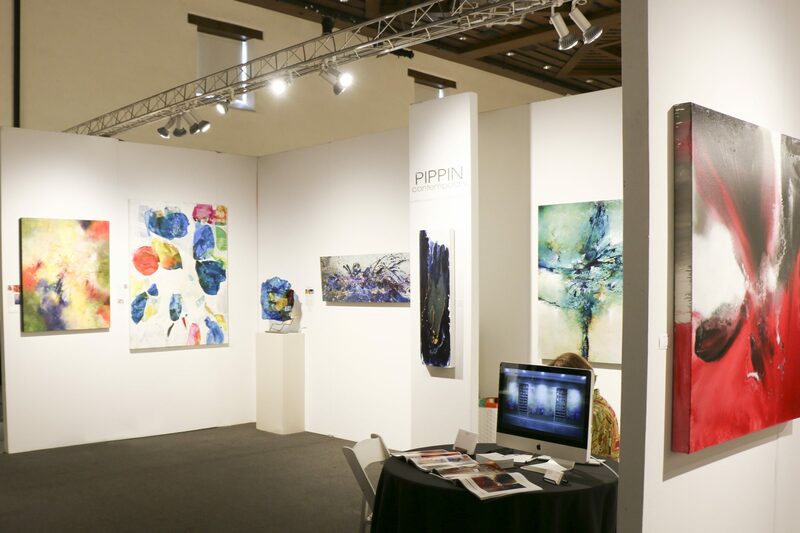 In 2012, Pippin Contemporary relocated to historic Canyon Road, the heart of Santa Fe’s unique art scene. Named the Best Gallery in New Mexico by Thom Bierdz of the American Art Awards in 2014, the famed Santa Fe gallery presents an uplifting world of vibrant color as expressed in contemporary art.